At First Financial our passion is to help Australians retire when and how they choose … and to deliver on that promise you need a phenomenal team. We’re proud to introduce our people. Each and every one of them are talented men and women of integrity who live and breathe the First Financial ethics, principles and values. Meet the principals of First Financial, talented experts in their field who guide, nurture, advise and mentor their growing team. As wealth management specialists, they offer expertise in financial planning and superannuation management services to clients in Melbourne and Australia-wide. The highly motivated principals dedicate themselves to your success – making sure you are on the pathway to building wealth and achieving your goals so you can retire life ready. Meet our principals. 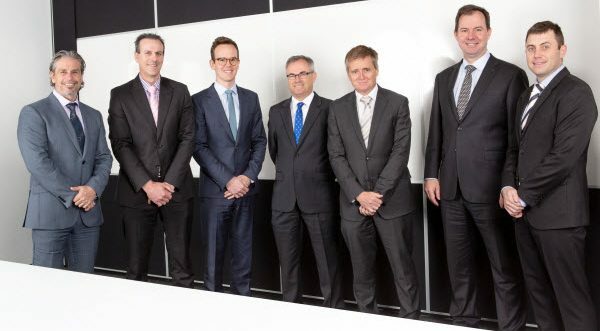 Meet our talented team of financial advisers who partner with you … helping you to make smart decisions with your money so you can build wealth, reach your financial goals and retire your way. Meet our dedicated group of associate advisers who support the financial advisers to provide strategic financial planning and investment advice to clients. The associate adviser acts as a point of contact for client queries. Meet our associate advisers. By providing professional administrative support our client service team ensures our advisers and associate advisers have everything they need to consistently deliver exceptional client service. The operations team ensures our processes are streamlined and our project management is seamless so our focus is on providing our clients with high quality advice with maximum efficiency. Our specialist team of SMSF administrators make navigating the complex world of Self Managed Superannuation Funds easy. Our paraplanning team, a group of highly qualified technical experts, prepares financial modelling and advice documents to ensure our clients are provided with the highest quality advice. At First Financial we’re proud of our people and the great work they do. That’s because we know each and everyone of them are men and women of integrity. From the support staff and the client services and operations team, through to the graduate trainees and advisers, all the way to our principals; our people make the business. Which is why we’re so passionate about training, support and recognition. Read about staff promotions and other team news here.